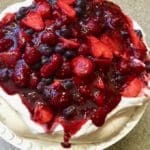 The Ultimate Triple Berry Pavlova Dessert (Meringue Cake) features light as a cloud meringue topped with sweetened whipped cream and juicy ripe berries. This delicious and show-stopping dessert is all about sublime textures; crunchy, yet light as a cloud meringue, billows of sweetened whipped cream and juicy ripe berries. 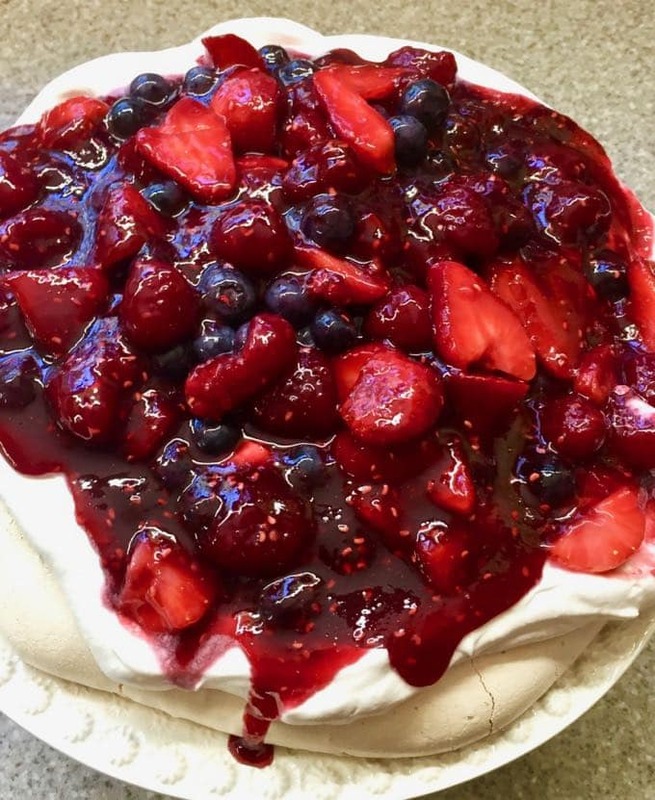 Pavlova or meringue cake is a meringue-based cake dessert with a crisp crust and soft, light inside, usually topped with fruit and whipped cream. 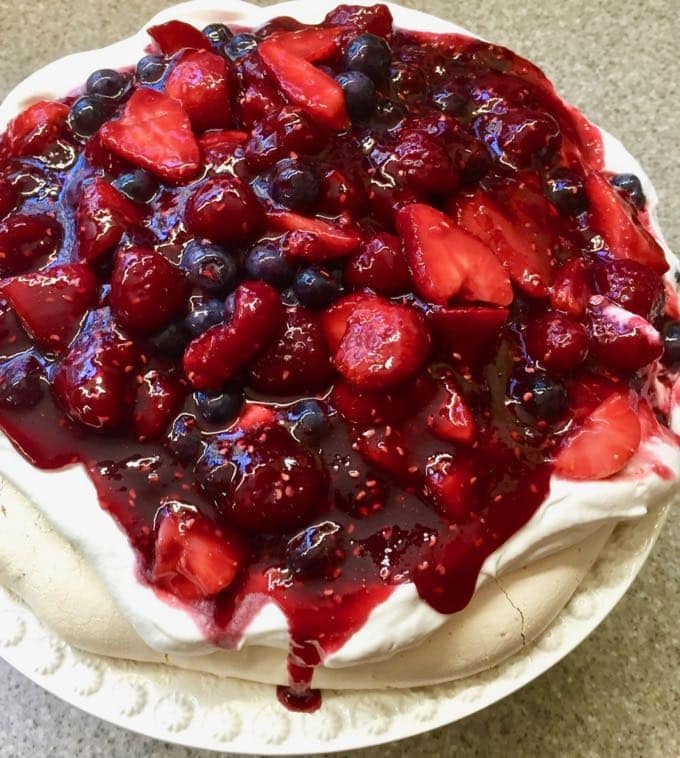 Pavlova was named for the Russian prima ballerina Anna Pavlova. Today’s post for The Ultimate Triple Berry Pavlova Dessert (Meringue Cake) wraps up my Traditional Easter Dinner series featuring Brown Sugar and Bourbon Glazed Ham, Southern Potato Salad, Southern Candied Sweet Potatoes, Green Bean Bundles Wrapped in Bacon, Ultimate Broccoli Cheese Casserole, and Southern Baked Pineapple Casserole. You can’t go wrong with any of these dishes, and your family and friends will be impressed. Best of all, everything can be prepped and partially made ahead of time, so all you have to do on Easter is bring everything together to the accolades of your family and guests. If you have made meringue before, you know sometimes it can be a little temperamental. If you follow these tips, your meringue will be perfect every time. Use superfine sugar or Caster Sugar. It melts quickly, and your meringue won’t be gritty. If you are in a pinch, you can put regular granulated sugar in your food processor fitted with a steel blade and process it until it is superfine. Don’t use packaged egg whites to make meringue. 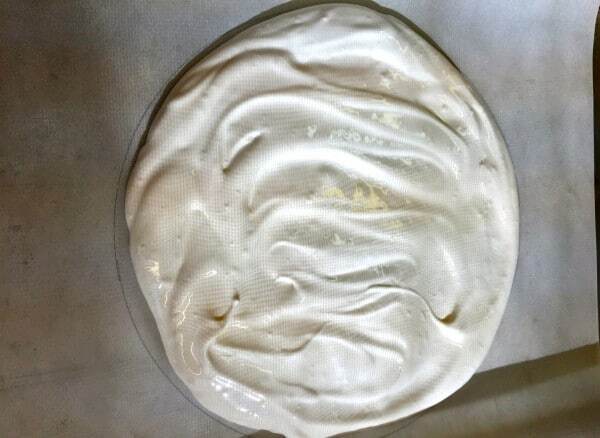 The pasteurization process can prevent egg whites from forming a stable meringue. Use fresh egg whites. Old egg whites tend to collapse when other ingredients are folded in, and they don’t rise well in the oven. Use eggs at room temperature. Cold egg whites tend to reduce meringue volume. Never let any yolk get into the whites. Don’t overbeat egg whites. (Overbeaten egg whites will look hard, lumpy or dry). When whipping egg whites, always start your mixer on medium-low to medium speed. Beat them until foamy and increase the speed to medium-high and then to high. If the egg whites are beaten too quickly at the beginning, the structure of the foam will not be as strong, and later the egg whites will not beat as high as they should. A small amount of cream of tartar or vinegar can be added to the mixture at the beginning of whipping to help stabilize the foam and make it less likely to collapse. Make sure your mixing bowl and beater are extra clean and don’t use plastic bowls – they can retain a film of fat from previously mixed or stored items that can deflate the meringue. Don’t make meringues on humid days. Humidity causes meringues to be sticky and chewy. Leave hard meringues in the oven after baking so they will cool slowly and not crack. Baked meringues should be stored in airtight, moisture-free containers. They can usually keep for a week at room temperature and up to a month in the freezer. Now that you know everything there is to know about meringue let’s get started. 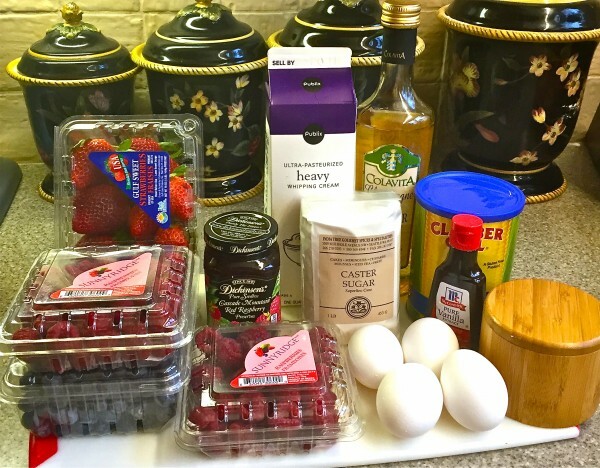 First, gather all of your ingredients which are: extra large eggs at room temperature, kosher salt, superfine sugar, cornstarch, white wine vinegar, vanilla extract, fresh strawberries, blueberries and raspberries, whipping cream, and seedless raspberry jam. Place a sheet of parchment paper or wax paper on a baking sheet. 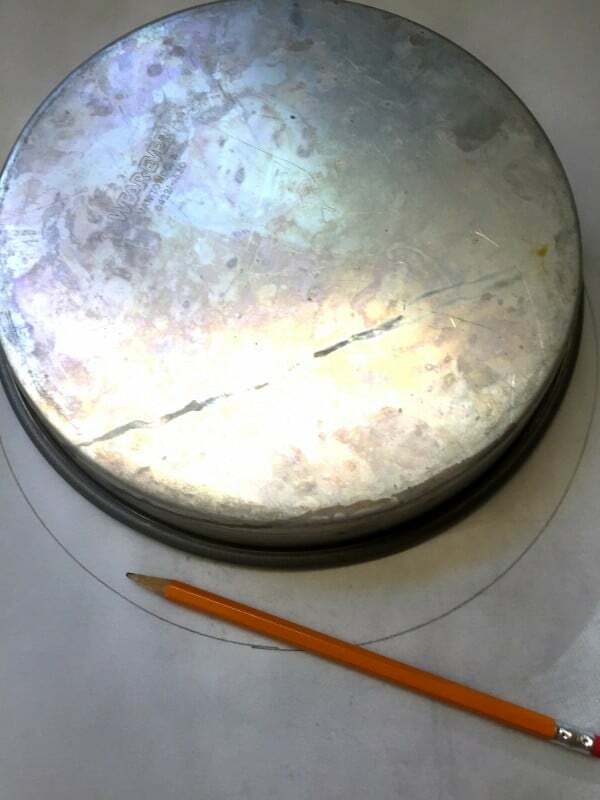 Using a 9-inch cake pan or plate as a guide, draw a circle around the plate or pan with a pencil. Turn the paper over so the pencil mark in on the reverse side. You should still be able to see it. **You can make individual desserts by drawing four 3-4 inch rounds on the parchment paper. Place the egg whites and salt in your mixing bowl fitted with the whisk attachment. Beat the egg whites on medium speed for about 1 minute, until they are foamy and starting to firm up. Switch the mixer to high and gradually add in the sugar, about a tablespoon at a time and beat until the whites are firm with shiny peaks. This should take about 2 minutes. Sift the cornstarch on top of the beaten egg whites, add vinegar and vanilla and using a rubber spatula or wooden spoon, gently fold these ingredients in until everything is thoroughly mixed. Pour the meringue onto the parchment paper and smooth it out within the circle using an offset spatula. 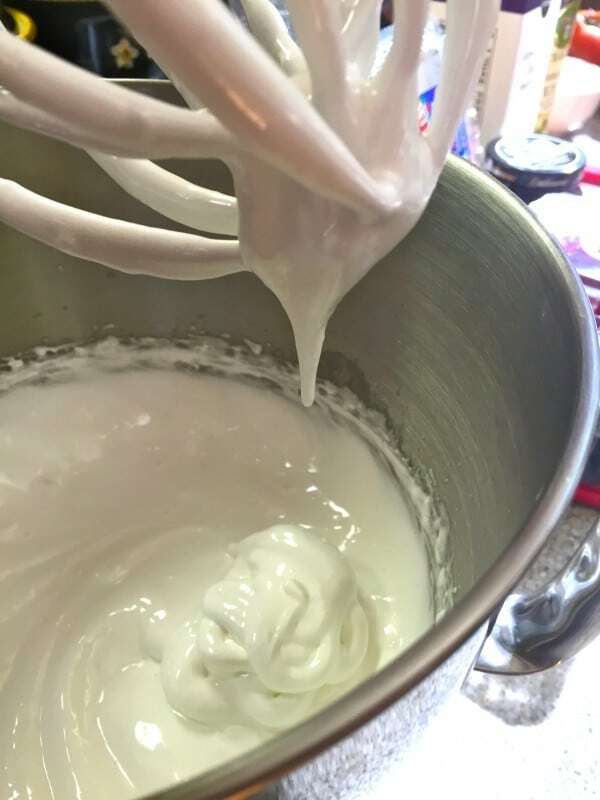 To make the whipped cream, add the cream to the bowl of your electric mixer fitted with the whisk attachment and beat on medium-high for about 5 minutes. When it starts to thicken, add the sugar and vanilla and continue to beat until it is firm. (Cream whips best if it is very cold. I always put my mixing bowl and whisk attachment in the refrigerator to chill them too.) If making ahead, cover tightly and store in your refrigerator for up to 24 hours. When you are ready to serve, put the meringue disk on a large round plate or cake stand with a lip. Spread the whipped cream over the top. 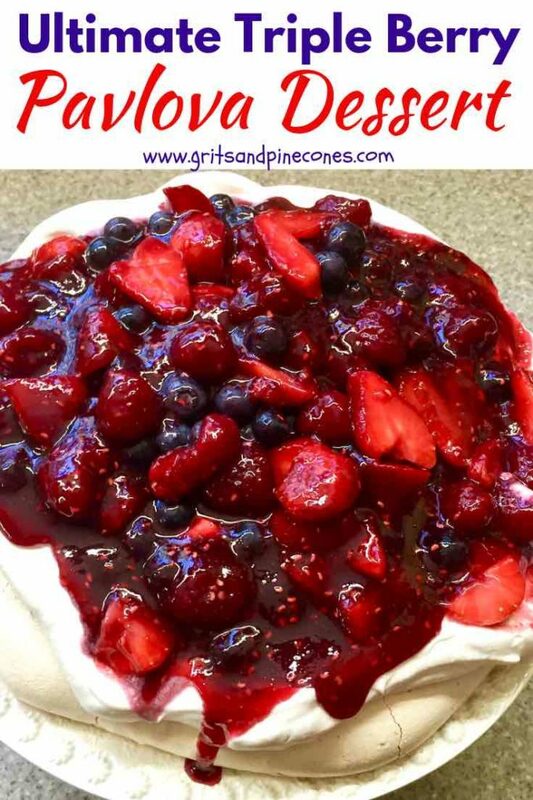 Cover the whipped cream evenly with the berry mixture, then pour the raspberry sauce over the top. Serve immediately. Enjoy! I like to make all of the components a day or so ahead, and assemble right before I am ready to serve this beautiful dessert. **This recipe was originally published on March 23, 2016. Republished on March 1, 2019, with expanded text and updated photos. Place a sheet of parchment paper or wax paper on a baking sheet. Using a 9-inch cake pan or plate as a guide, draw a circle around the plate or pan with a pencil. Turn the paper over so the pencil mark in on the reverse side. You should still be able to see it. **You can make individual desserts by drawing 4 3-4 inch rounds on the parchment paper. Sift the cornstarch on top of the beaten egg whites, add the vinegar and vanilla and using a rubber spatula or wooden spoon, gently fold these ingredients in until everything is thoroughly mixed. When you are ready to serve, put the meringue disk on a large round plate or cake stand with a lip. Spread the whipped cream over the top. 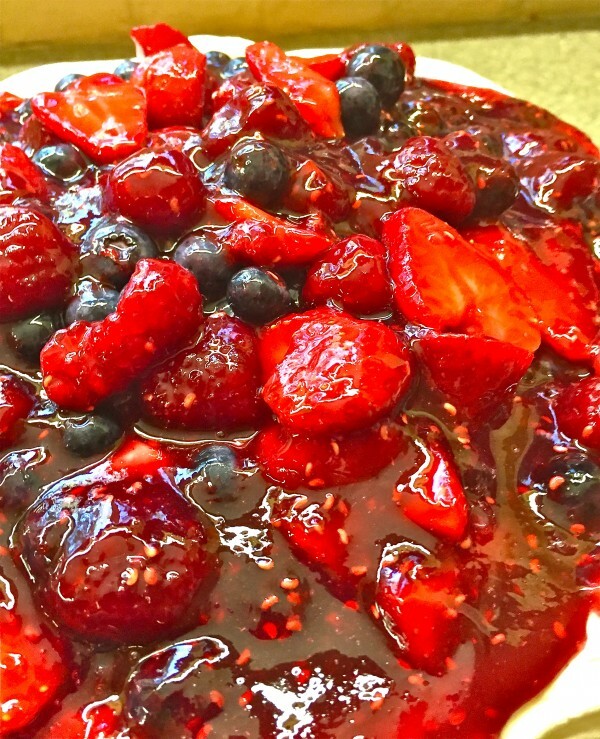 Cover the whipped cream evenly with the berry mixture, then pour the raspberry sauce over the top. Serve immediately. If you follow these tips, your meringue will be perfect every time. Use superfine sugar or Caster Sugar. It melts quickly, and your meringue won't be gritty. If you are in a pinch, you can put regular granulated sugar in your food processor fitted with a steel blade and process it until it is superfine. Use fresh egg whites. Old egg whites tend to collapse when other ingredients are folded in, and they don't rise well in the oven. Don't overbeat egg whites. (Overbeaten egg whites will look hard, lumpy or dry). When whipping egg whites, always start your mixer on medium-low to medium speed. Beat them until foamy and increase the speed to medium-high and then to high. If the egg whites are beaten too quickly at the beginning, the structure of the foam will not be as strong, and later the egg whites will not beat as high as they should. Make sure your mixing bowl and beater are extra clean and don't use plastic bowls – they can retain a film of fat from previously mixed or stored items that can deflate the meringue. Don't make meringues on humid days. 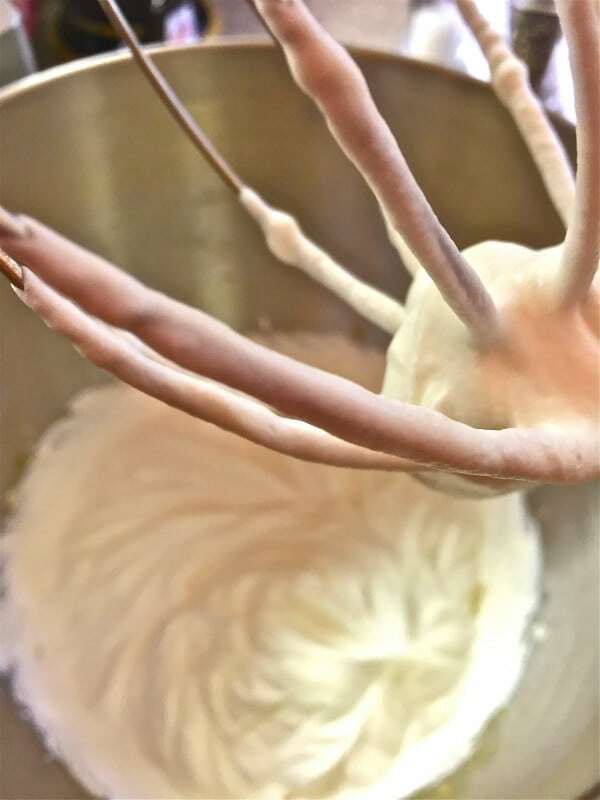 Humidity causes meringues to be sticky and chewy.